Bursary provision at UCT received a welcome fillip from the South African National Zakah Fund (SANZAF), which has allocated some R182 473 to helping 19 financially needy students at the university. SANZAF, a faith-based, socio-welfare and educational organisation, is reportedly the biggest of its kind in the Southern Hemisphere. Bursary support: UCT student funding coffers received a boost from the South African National Zakah Fund (SANZAF). In the picture are SANZAF Western Cape administrator Moulana Sarfaraaz Hamza and DVC Prof Crain Soudien. The latest funding is part of its Western Province chapter’s allocation of R3 718 839 to support 384 students at the province’s higher education institutions. These include the Cape Town University of Technology, the University of Stellenbosch, the University of the Western Cape, and the Islamic Peace College of South Africa. SANZAF’s 2014 national spend on bursaries is R15.5 million, which will assist more than 1 000 students. In 2013, 550 students benefited nationally from the bursary programme of close to R10 million. 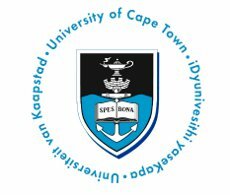 UCT has enjoyed a long association with the organisation, which was established in 1974 and is now celebrating its 40th anniversary. Executive director of UCT’s Development and Alumni Department, Dr Russell Ally, said: “Bursary programs like these make it possible for UCT to offer educational opportunities to students in financial need which not only changes their futures, but also that of their families and communities.